The main reason I flew to Kaohsiung is to visit this enchanted Alishan Forest Recreation area. 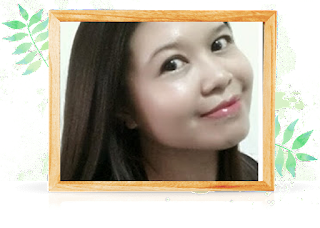 I read about its diverse ecologies, colorful indigenous cultures, forest railways and amazing scenery of sea clouds and magnificent sunrise view. This forest located in Chiayi County up more than 2,000 meters above sea level. This place is famous during Cherry Blossom Festival. 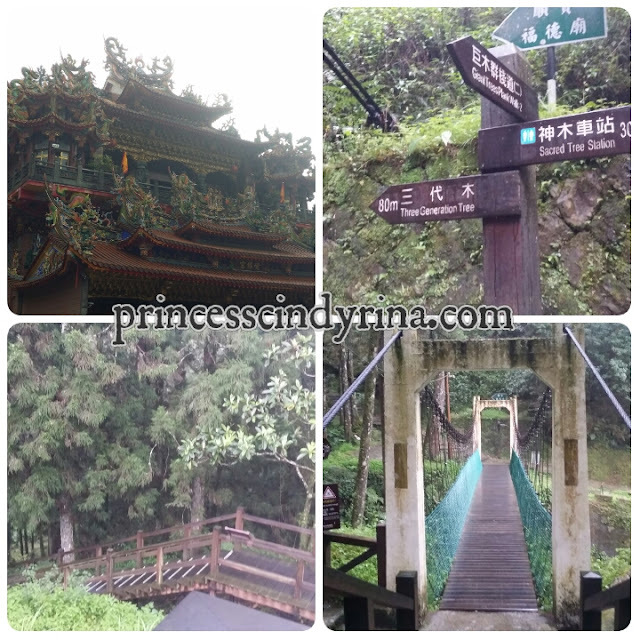 How to get to Alishan from Qinjing ? I board the bus down from Qinjing to Puli and then from there change another bus to HSR Taichung Station and then to HSR Chiayi Station. I took the bus up from HSR Chiayi Station up to Alishan. There are few taxi driver waiting asking you to get in to their taxi. But I find it much cheaper to get there with bus eventhough I have to wait for 2 hours. I miss the the first bus by seconds. Tips : Before you go advice to check on the bus schedule online. They keep changing the timing. If you go in group it is worth to rent one taxi up. I think the cost is around NT2,500 for one trip up for whole taxi. Bus will cost you around NT250++. Bus driver will stop near the entrance and you need to bring your passport and money down to pay for entrance fees. That cost you around NT150/-pax. Many people took the forest train up but due timing is not permitted for me so I took the bus up and down with the train instead. First night at Alishan ,I booked a room walking distance to Alishan Railway Station. 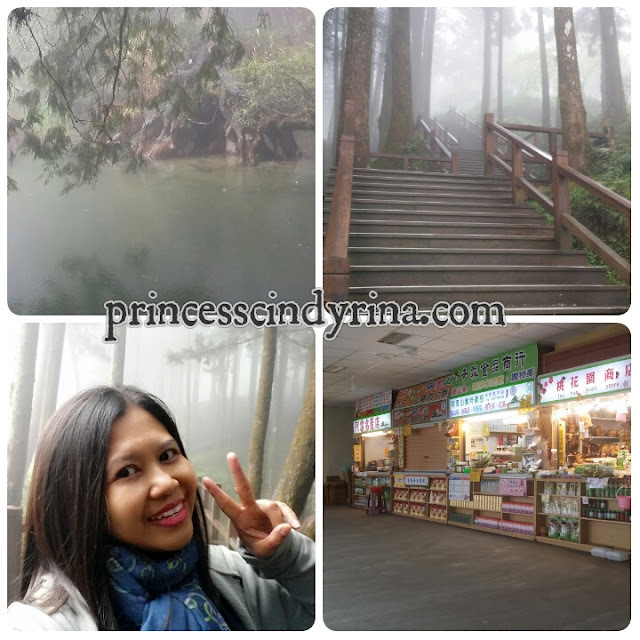 I was planning to take the train around 4:00am to Zhushan Station for Sunrise view. I don't think I can stay up at that hotel for long. The place is totally not my style. The only place is warm in the whole area is the bed. That because they have electric blanket on it. Other places is super cold for me. Then I spend my remaining night at this awesome tea plantation near Sizhuo. 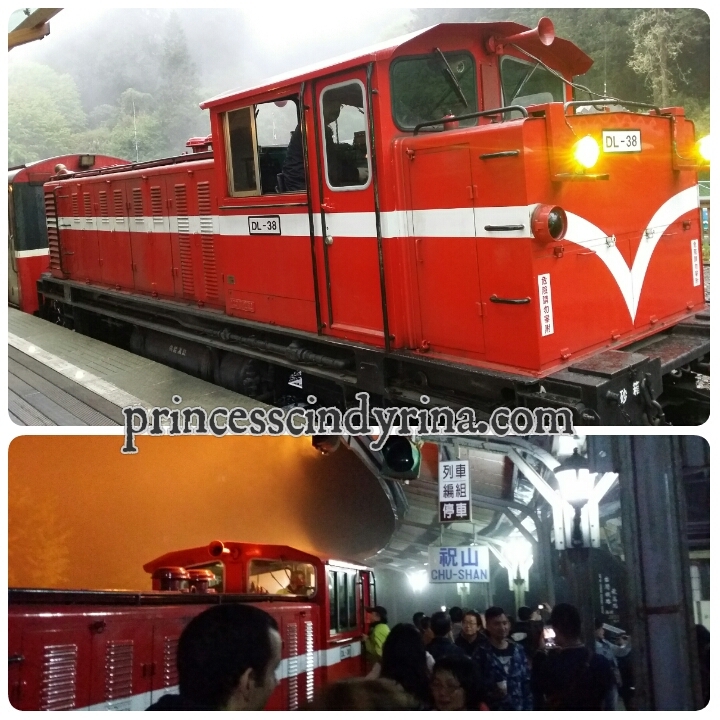 I woke up as early as 3:00am to walk out to Alishan Train Station to join the early morning queue. I bought the ticket as soon as I reached Alishan the day before.Try to go early to get the seat on the train or you will end up squeezing like sardines with others standing all the way to Zhushan Station. Not a long journey but heyyyy...you don't wanna to be standing at early morning with others. Honestly , it is hard to see the sunrise from Alishan due to the heavy mist. I am not lucky that day so the only view I get is white mist. kekekeke...aihhhhh...so shy la that sun. Like other people that day, I board down the train back but this time I stop at Zhaoping Station to challenge myself to walk along the tracks with hope I still can see left over cherry blossom. 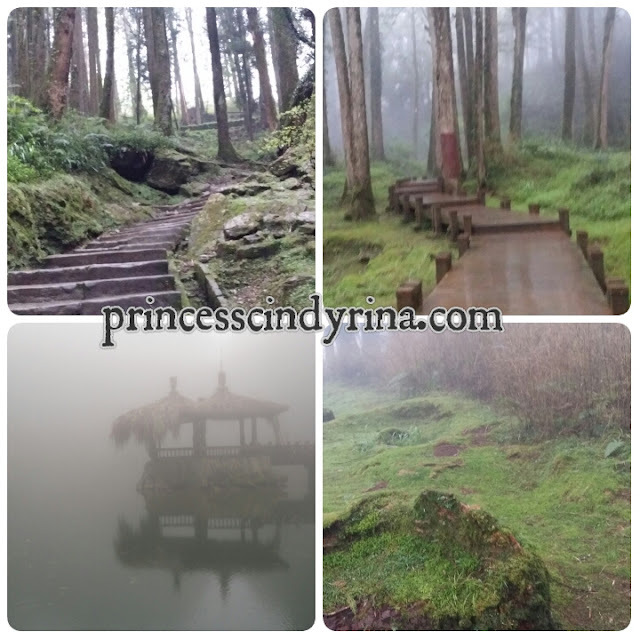 I kind of enjoy the walking trail on top of Alishan. Its not a difficult trail at all just the steps really bothering me. Anyway, I went on my hike with my walking stick. Just make sure you go there in the morning to avoid the group tourist. It can be nuisance to walk around with their noise. I manage to enjoy my time alone in the woods and really love it so much. 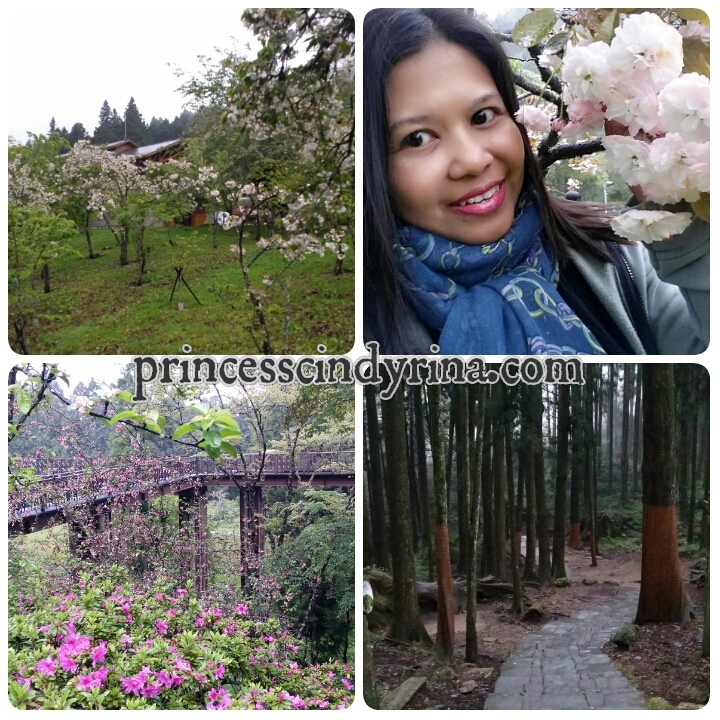 I manage to snap photos with late bloomers cherry blossom. Awesome! I thought would never get a chance to see it at all. There were few trees waiting for me. WTH! Thank you! It was raining half way trek. By the time I reached Sisters Pond,then when the rain stop the mist was like covering the whole view. 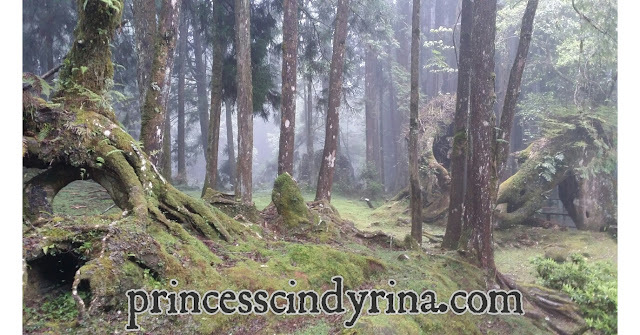 Surprisingly it is difficult to even see a single animal or insects around in this wood. Not hoping to see one but feel a bit weird because I can't even see a squirrel or a bird. Isn't this look like a boar ? It was really tiring to hike all the way with cold weather. I was glad to finally find a stop. 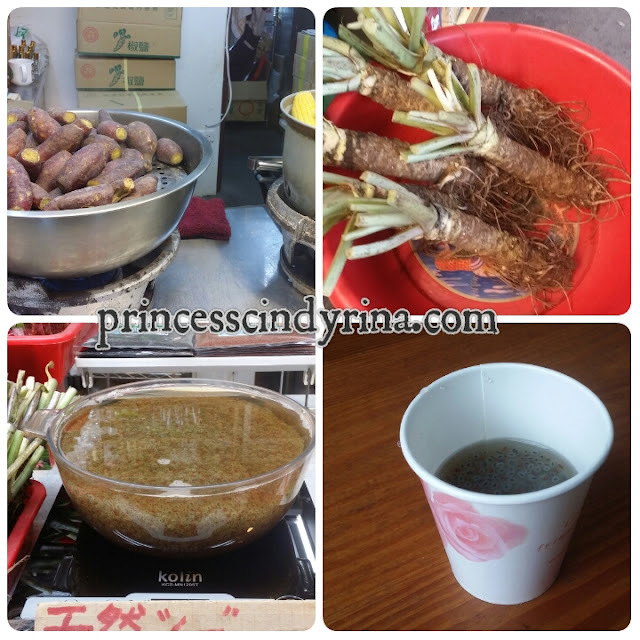 I bought some steamed 'guguma' aka sweet potatoes and corn. The owner asked me to top up some wasabi powder onto the sweet potatoes. I tried... and it was...whoa!!! exploded!!! and I love it. I bought packet of salted wasabi powder back home. WTH! Wasabi is very famous here. So does basil seeds. If you see top right photo, that's wasabi. Then the owner offer me warm basil seeds honey drink to quench my thirst. Bless you! Thank God..I met generous and kind people during my trip. 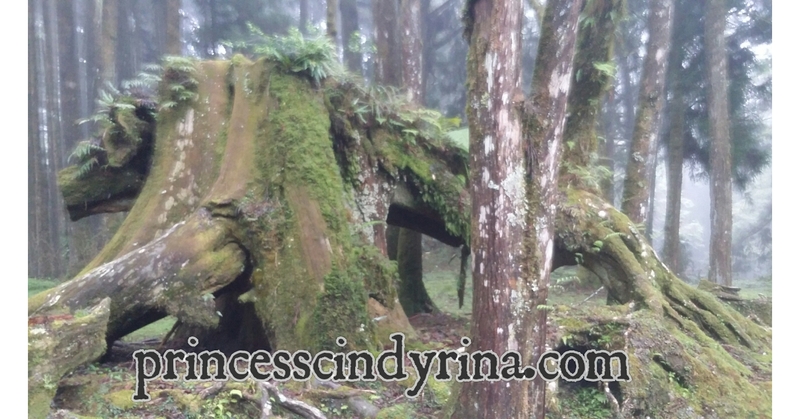 After a short break, I then decided to walk towards the sacred tree site. 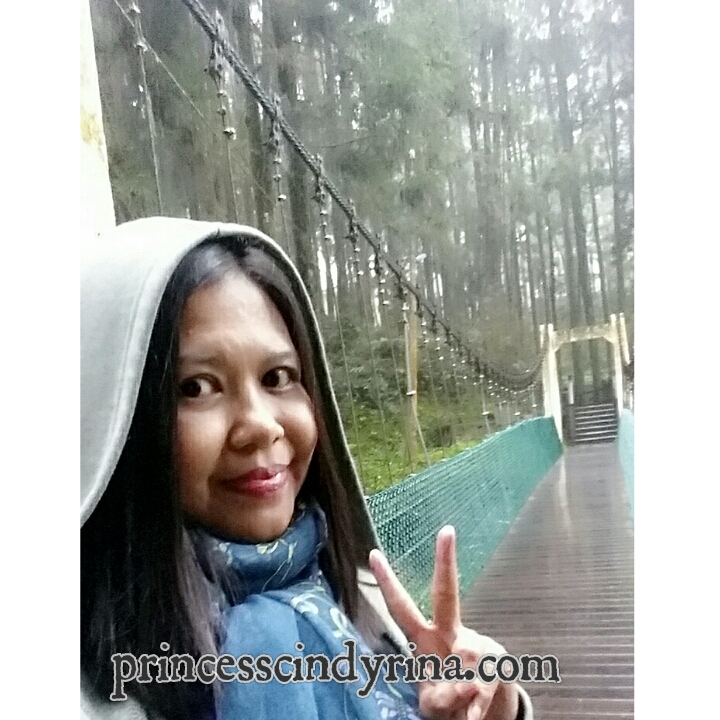 I manage to cross the bridge then walk few meters before the heavy rain came. Aihhhh!!!! At this point my leg feel very sore and started to cramp. Not sure how far I can go on. Plus feeling overly tired due to woke up at 3:00am that morning. Then met this girl who can speak English and she told me the train station nearby Sacred Tree only open at 10:30am. She turn back because need to check out at 11:00am. Me too! Aihhhh...turn back is better than stubbornly continue the journey. Even the path getting slippery by now. Guess! this is the limit of my journey here. I then bought a mini van ticket at nearby temple and join the queue to go back to hotel. I need to pack my bag and then take bus down to Sizhuo which I will be spending 2 nights there. Prepare warm clothing. Look at me cover up like that still feel every part of my body is freezing cold. 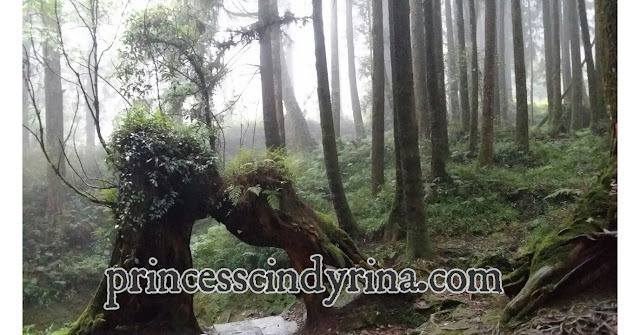 It will be chilly and damp weather on top of Alishan. Try to bring waterproof jackets and shoes. Such a lovely experience to be on a train like that. The scenery around the place is stunning too! Serene. Sharon! my hair only look good when on top of that mountain. I was commenting to myself during the trekking too. I made a conclusion..it was the fresh air I have gotten there. All the oxygen I need. Taiwan indeed an interesting place to go. We plan to go there for honeymoon next month. Wow, looks like you went on quite the excursion. Looks very scenic! I am impressed that you went to Taiwan alone. I would feel lost if I were by myself! Thanks for sharing, I'll keep this I'm mind if I happen to visit Taiwan. I'll love to go for a trail like that. You even go hiking when travelling? Whaaaa. I envy you, its look so cold there. Wow such a beautiful place. Hope to visit one day.